Thanks for your continued patience with YouTube Partner Program applications that are currently under review. We know many channels have been waiting to hear back and wanted to share an update on how we’re working to review our current backlog of applications. Why have reviews been taking so long? Last December we committed to doing more to protect the creator community from abuse. 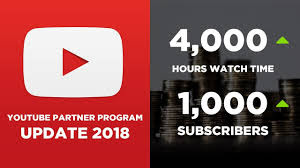 A central part of that work was spending more time carefully reviewing each channel and application for the YouTube Partner Program. We’re also training new members of the review team to ensure we’re applying our decisions consistently and giving the right channels the opportunity to monetize. This process has taken longer than we initially anticipated and we apologize for the delays this has caused. When we review your application we look at your channel activity–things like uploaded videos, strikes, views, subs, and watch time–and you’ll be approved for YPP if everything meets our Community Guidelines and our YouTube Partner Program policies. While you wait, please keep focusing on growing your audience! The best way to build a business and earn money on YouTube is to have an engaged audience. We have a number of resources to help you create great content, grow your audience, and get discovered.